Resort Guides: Ibiza For Markets, Castles, Caves, Diving And Of Course Nightlife! Ibiza For Markets, Castles, Caves, Diving And Of Course Nightlife! One of Spain's famous Balearic Islands, Ibiza is a true Mediterranean paradise. With its flawless beaches and magnificent weather, Ibiza is the perfect destination for those looking for a great sun, sea and sand getaway. But this idyllic location has more to offer than just its excellent climate, with a wide range of activities and attractions Ibiza has something for everyone. Here are some unmissable attractions for visitors to enjoy. Definitely not a usual tourist attraction, but Ibiza is famous for its fun and unique hippy markets. Here visitors can browse the many fascinating stalls with a wide variety of things for sale, from exotic tailor made clothing to jewellery and trinkets, the hippy markets are perfect for finding gifts for loved ones. And of course visitors will be glad to see some real life hippies! Situated atop a mountain in Ibiza town, this remarkable medieval castle is a must-see attraction. A famous world heritage site, the castle offers tourists an excellent insight into Ibiza's historic past. 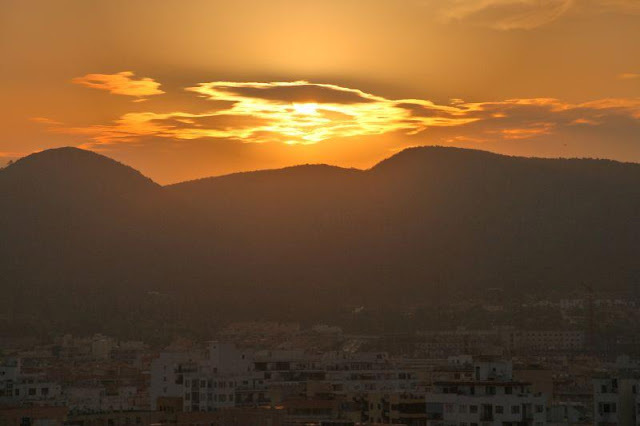 From here, visitors can walk the battlements and enjoy the breathtaking panoramic views of Ibiza. Crossing the castle's drawbridge into the city, visitors can admire the stunning Gothic Catalan buildings with their amazing architecture and character. This castle offers tourists a journey through time that won’t soon be forgotten. To the north of the island in the Port of Sant Miquel can be found the Can Marçà Cave. At over 100,000 years old, this geological formation is a wonder to behold. Originally discovered by smugglers as a means to hide their goods, the cave is host to some beautiful waterfalls and watercourses. Visitors can tour this fascinating cave with its vibrant hues and stunning stalactite and stalagmite formations. No visit to Ibiza is complete without checking out this weird and wonderful cave. Warm, crystal clear Mediterranean waters and more than 200 kilometres of stunning coastline makes Ibiza a popular destination for some great diving. Professional and amateur divers alike flock here all year round to experience the dives of their lives. With many top quality diving schools offering both beginner and advanced lessons, divers of all abilities can enjoy some epic submerged fun. With places to explore from ship wrecks to brilliant caves, Ibiza promises to provide a diving holiday to remember. Aside from its outstanding natural beauty and vibrant culture, Ibiza is probably most famous for one thing; its amazing nightlife. This Mediterranean gem offers some of the best club scenes in the world, with enormously popular night clubs such as Amnesia and Privilege, Ibiza is the place to be when it comes to the 18-30 crowds. Thousands of enthusiastic clubbers travel here every year to experience a taste of Ibiza's euphoric party atmosphere and bask in the glorious sunshine. There simply isn't a better destination for anyone who loves to dance the night away. Ibiza is a destination that has it all, beautiful scenery, great activities and an excellent atmosphere. With so much to see and do, there is something here for everyone to enjoy. From diving along the majestic coast to partying like never before, Ibiza holidays are sure to give visitors the experience of a lifetime. Guest post submitted by Bradley Houston who is a travel writer who loves writing about activities in Ibiza and other Spanish holidays.